I must be dreaming how could I forget that gorgeous little Vol de Nuit?!? And the SDV might actually be tonka Imperiale. Oh my god these are all full bottles? HARLOT. 😀 oh harlot I am. Although one could say I’m being faithful to the family. Yes, they are either full bottles or tiny extraits. 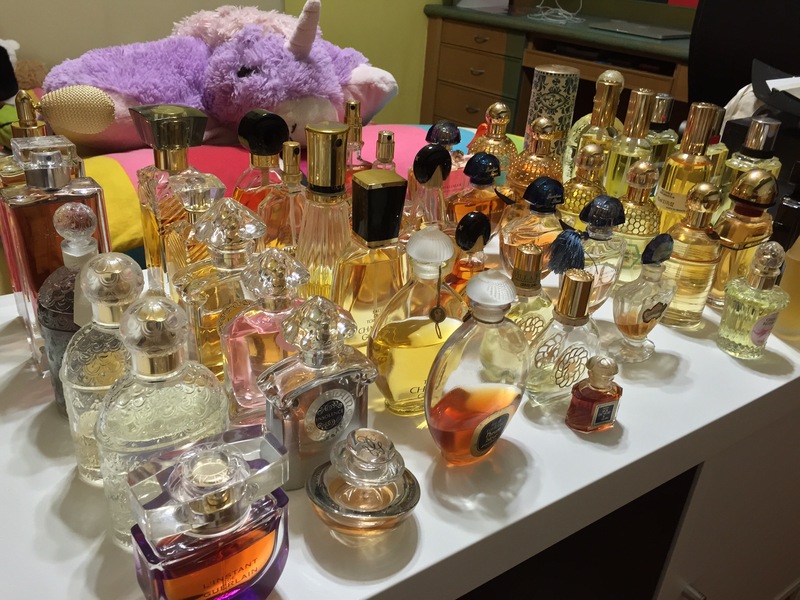 And I haven’t counted the minis or the decants yet! Love it. And very jealous. 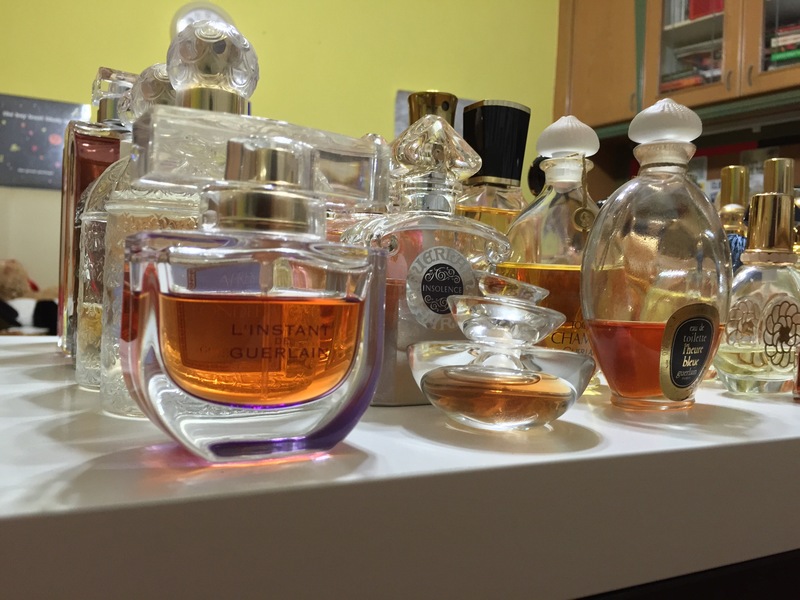 This is Guerlain paradise. Why are my comments still not showing and others are, posted much later than mine? Hello Melissa! Don’t worry they’re seen by me 🙂 but your answers might give away the answers to others! waw! I can identify more than 15! 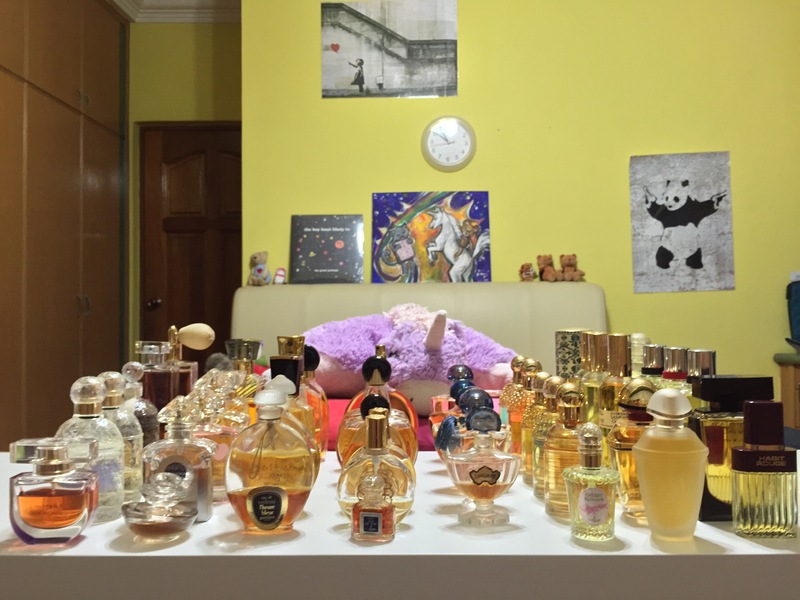 😀 Cherry Blossom, Mitsouko, L’instant, L’instant pour homme, Shalimar, Shali Parfum Initial, Shali Ode à la Vanille, Samsara, Habit Rouge, Insolence, Chamade, Terracotta, Jardins de Bagatelle and left on the back it could be from l’art et la metiere collection Tonka Imperiale and just in front Gourmand Coquin (it seems to be because of the colour 😉 ). Very nice collection. I also love this house. ah! and do you have Aqua Alegoria Mentafollia? nICE! 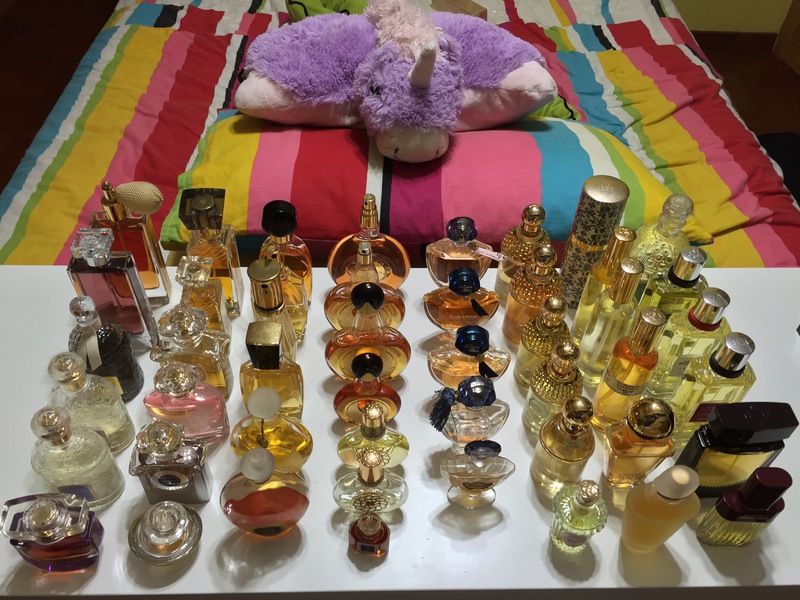 It’s an impressive collection – thanks for sharing these beautiful pictures with us. Wow, that’s some collection! I guess you are a fan. It’s too early and I’m not caffeinated yet so perhaps I’ll try to guess which ones are there later. I do know a few of the bottles there but I need to be a bit more awake to focus.